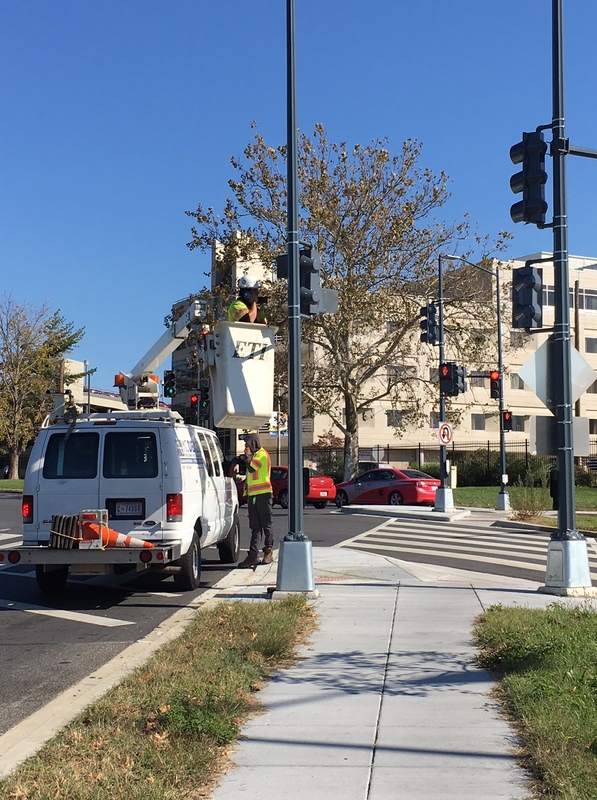 sidewalks | Park View, D.C.
Workers adjusting timing on crosswalk signals at new crosswalk. 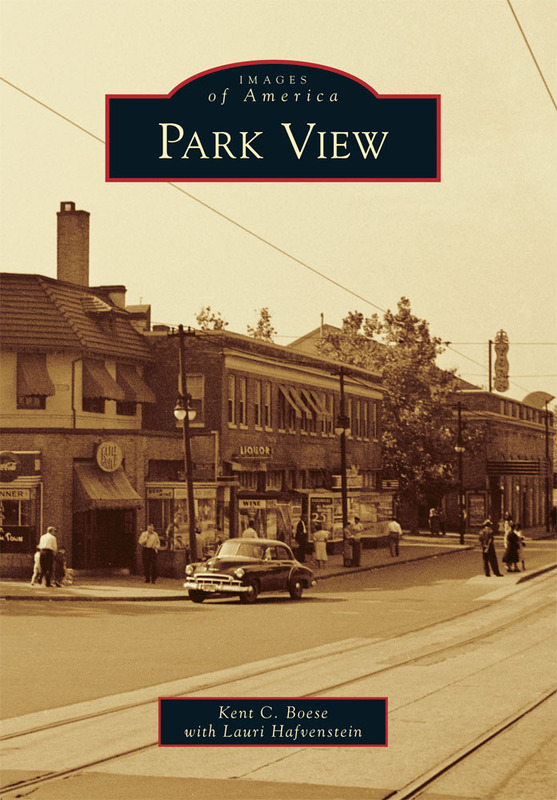 I had the opportunity to check out the new crosswalk and sidewalk that now connects Park View with the Washington Hospital Center yesterday. I was happy to see a crew adjusting the timing on the crosswalk signals that allow pedestrians to cross Irving Street to get to the hospitals. It was also good to see a new sidewalk has been installed that will allow pedestrians to walk south from the intersection to Michigan Avenue, and thus to Children’s Hospital. 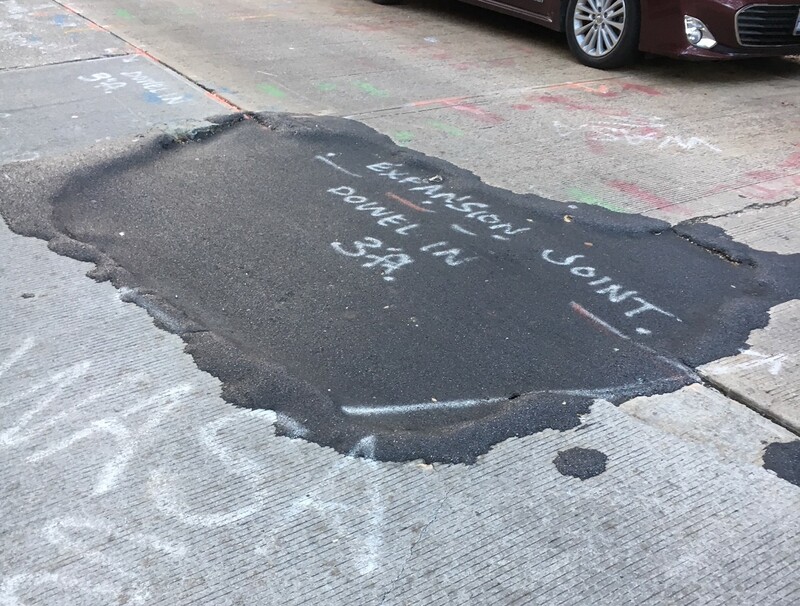 All of this work is part of the improvements identified during the Crosstown Multimodal Study, which also resulted in the Barnes Dance at 14th and Irving. Below are photos of the new sidewalk skirting the hospital center. 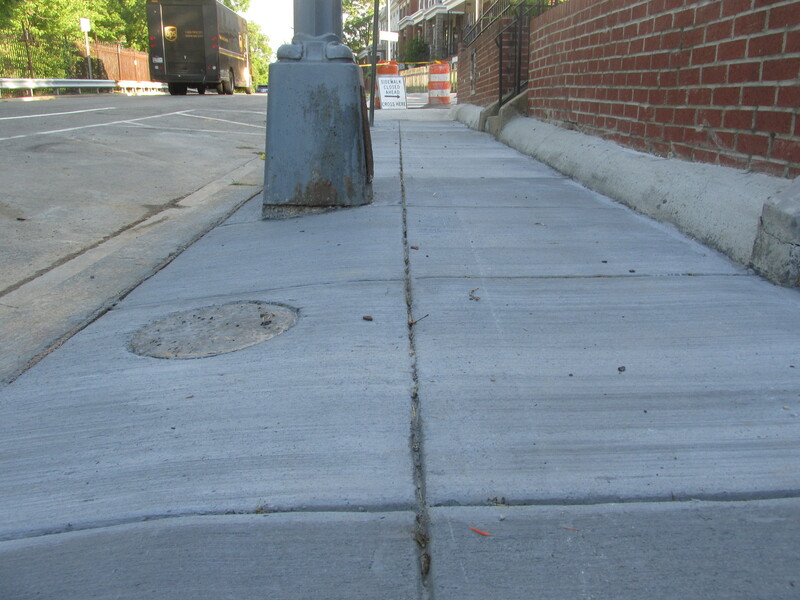 I’m happy to report that the wonky section of sidewalk on Park Place just north of Newton was repaired yesterday. The issue with this section of sidewalk was a severe slope down to the curb that was created when the sidewalk was replaced in June 2016. After much patience and perseverance on my part — and engagement by neighbors on this block (thank you team!) 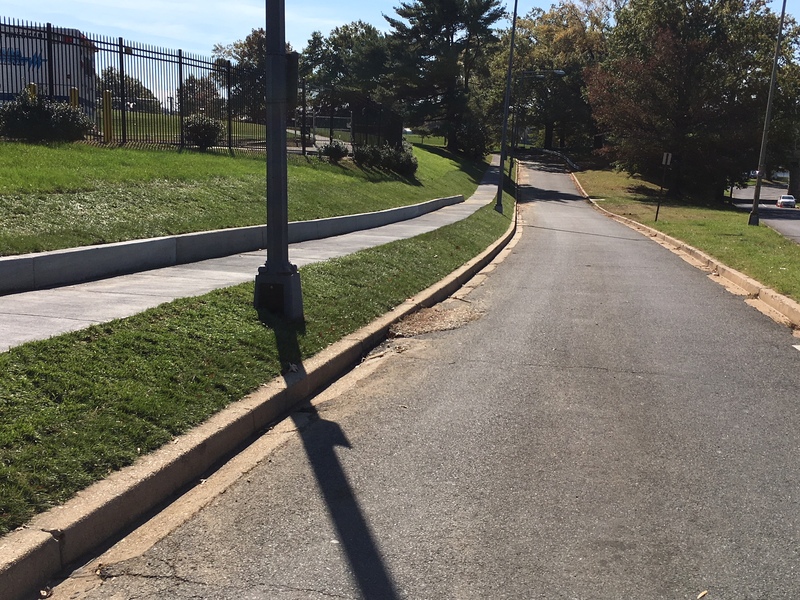 — DDOT came out, reinspected the section, and came up with a better solution to address the ADA and safety issues related to this stretch of sidewalk. As you can see below, this has all paid off with a far safer sidewalk for all. 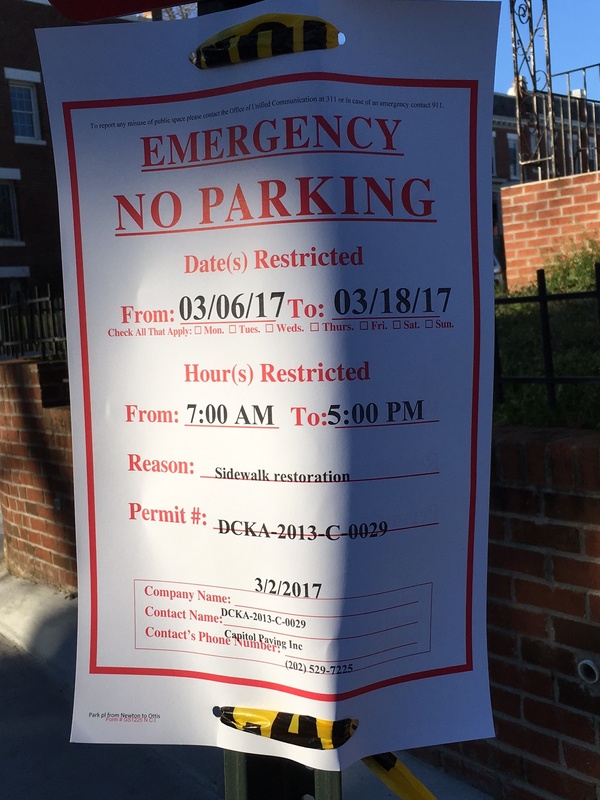 Signs went up on Friday, March 3rd, showing that work may begin on fixing the section of sidewalk on Park Place between Otis and Princeton as early as March 6th and is expected to be completed by March 18, 2017. Minor delays may occur due to weather. As mentioned below, the project not only will level out the sidewalk in this area, but will also raise the curb. In speaking to DDOT, they do not anticipate that this will create any problem with doors opening from parked cars once completed. 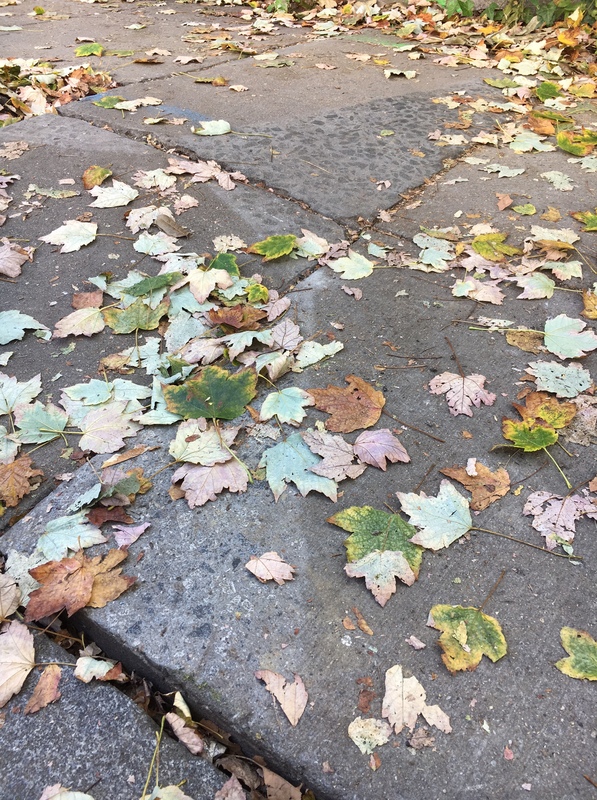 Section of sidewalk on Park Place just north of Otis Place. 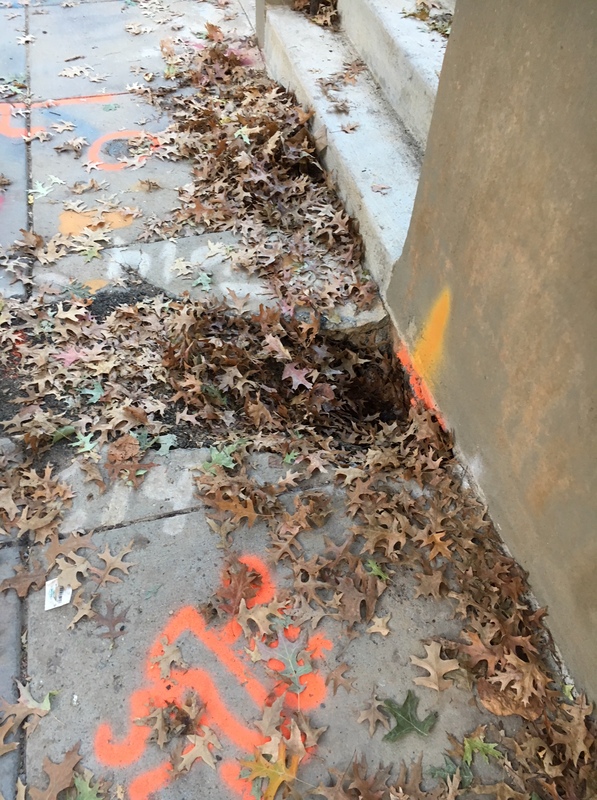 After sustained efforts by residents and me, DDOT has determined that they will rebuild the section of sidewalk on Park Place just north of Otis Place. This sidewalk section was originally replaced back in June 2016 — not once, but twice. 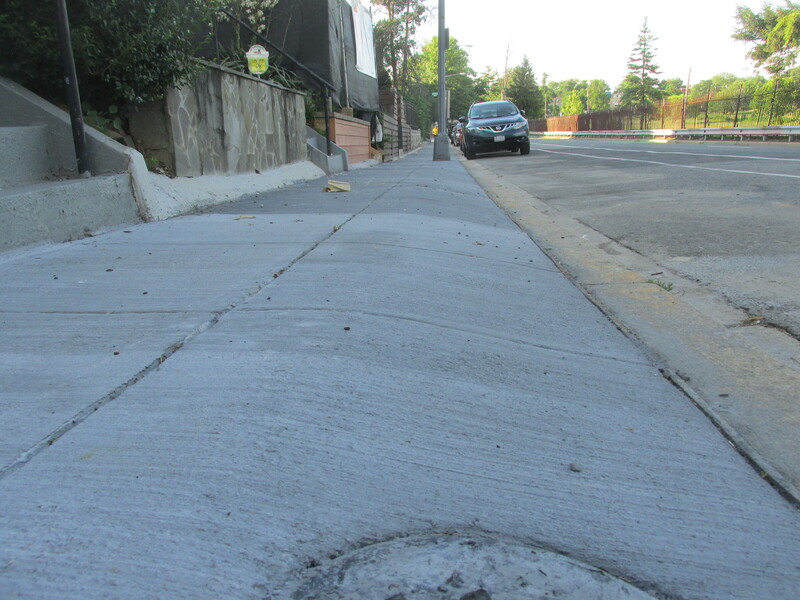 The first time it was poured the sidewalk was too low compared to the steps leading up to the houses, so it was raised creating a severe slop closer to the street so that the sidewalk could connect with the curb. 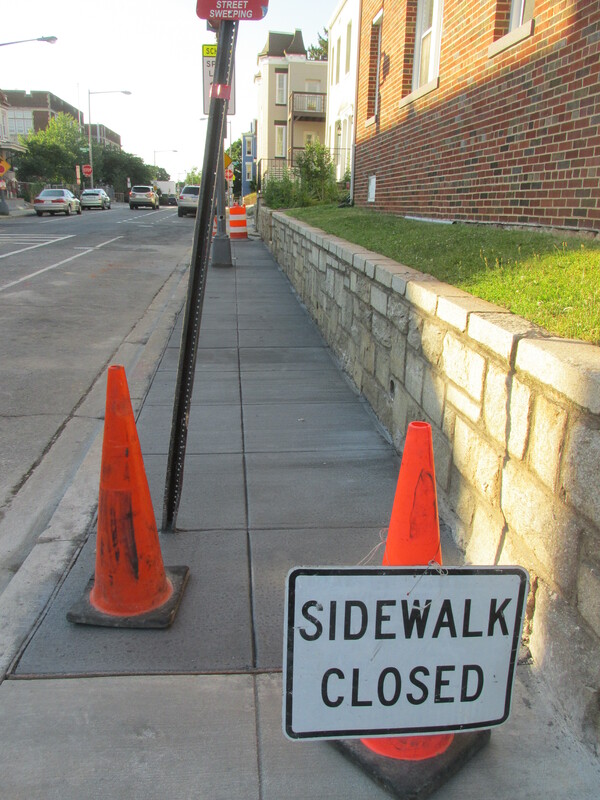 It was quickly pointed out to DDOT that this created a safety hazard, yet they responded that they had to do this to make the sidewalk ADA compliant. 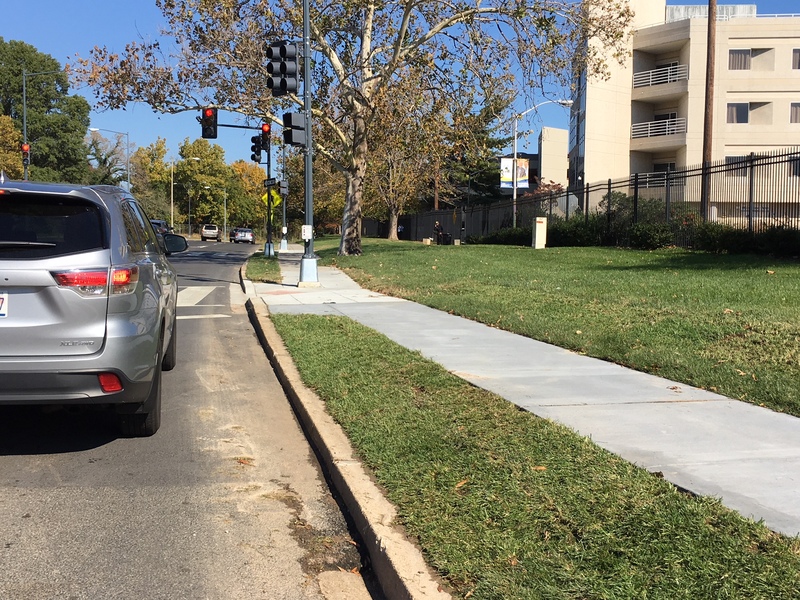 Yet, with sustained advocacy, DDOT’s ADA person finally visited the site and agreed that while the sidewalk was now ADA compliant the way it sloped to meet the curb was not. 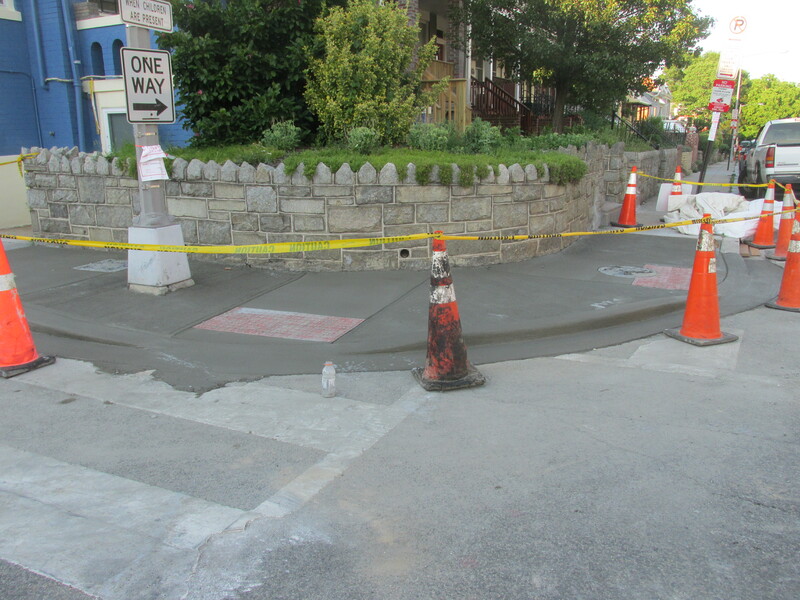 So, DDOT has decided to raise the curb to align with the existing compliant sidewalk. While I have not yet received notification on when the work will start, it has been marked up to show what section needs to be rebuilt. 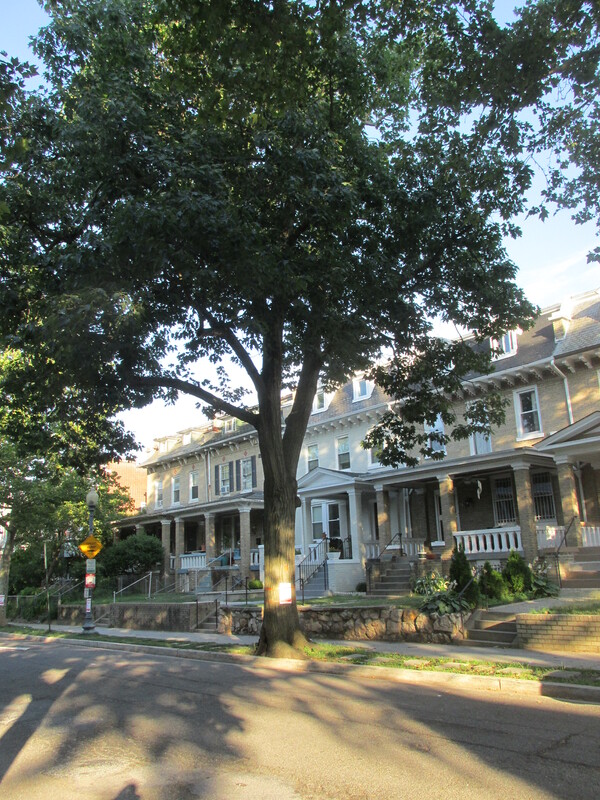 The 600 block of Princeton Place had a lot of sidewalk work done back in May that also tore up the tree space areas. 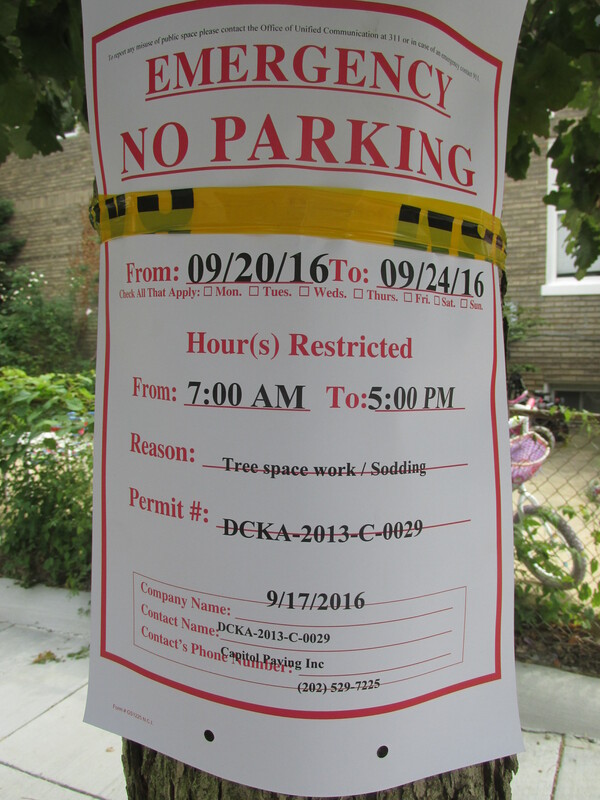 Now, according to signs posted earlier this week, DDOT is prepared to undertake sodding of the tree spaces on Princeton. 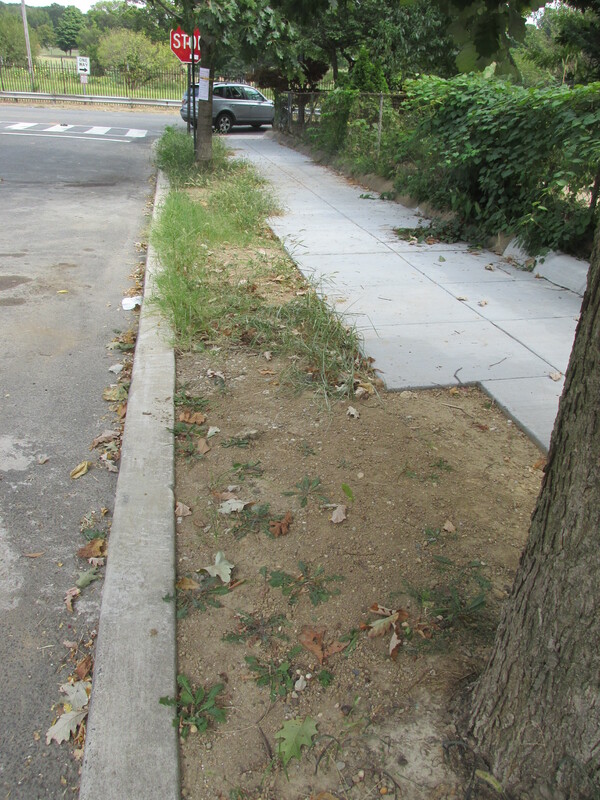 In looking at the area between the sidewalk and the curbs on the block, the current state is dirt and weeds, so I’m pleased that DDOT will be restoring the area to what it was prior to their sidewalk replacement work. 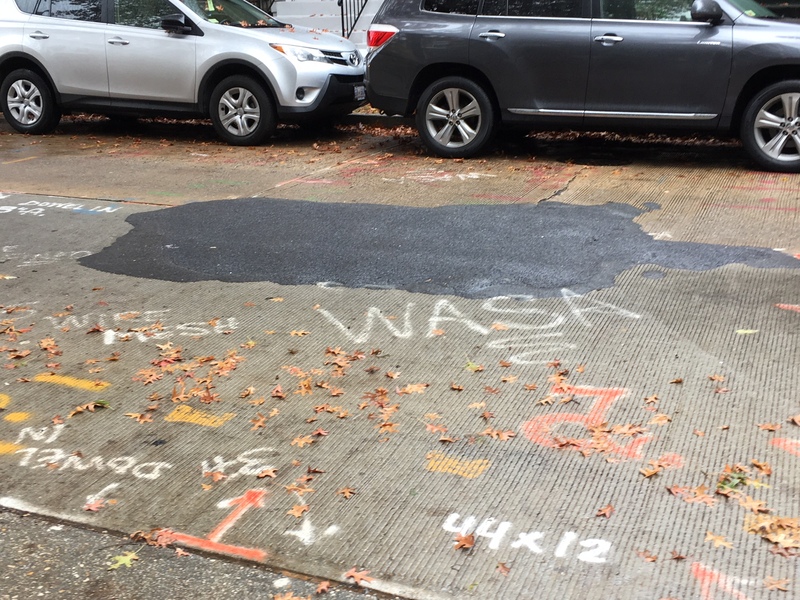 What’s DDOT Doing Around the Neighborhood? 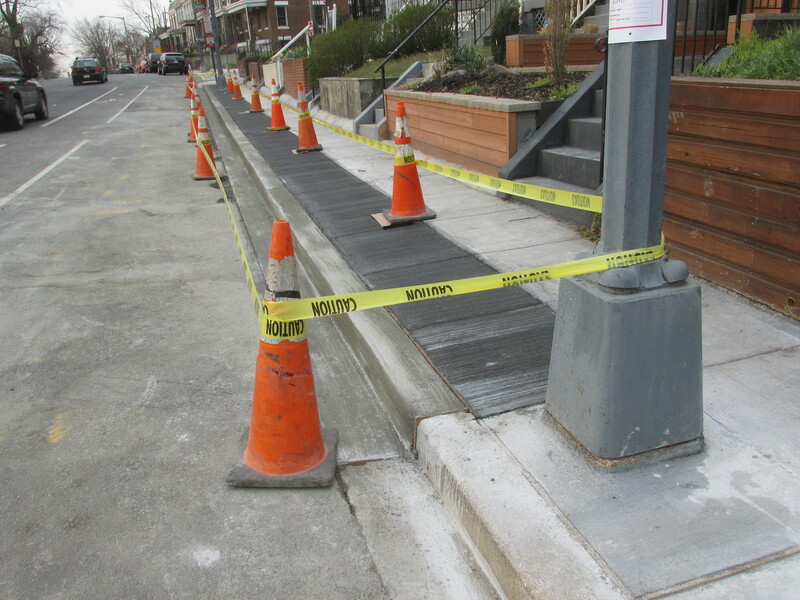 New sidewalk on Warder between Manor and Newton. 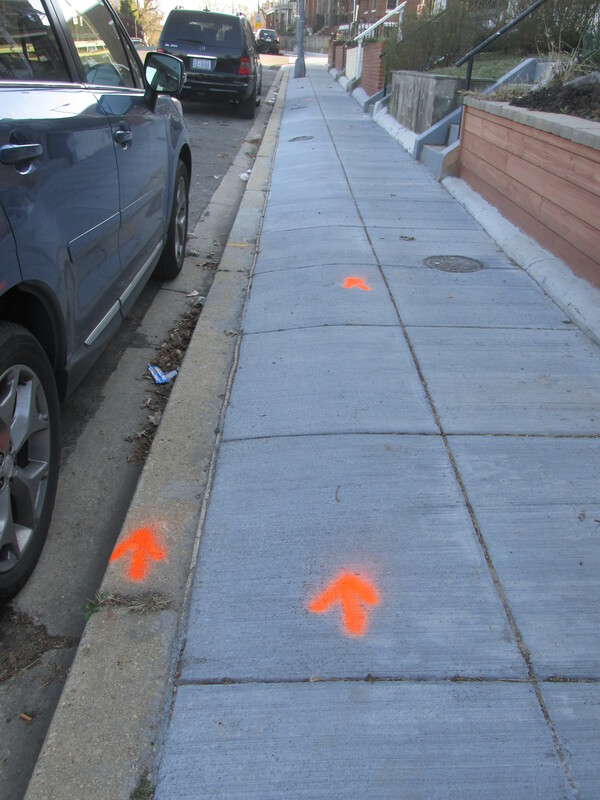 Last night I too a brief walk around part of the neighborhood to check on all the work DDOT is doing in the community. I continue to see large areas of sidewalk that have been replaced and a large number of crosswalks. Far beyond any notification I’d received from DDOT. For the most part, these are good improvements. I’ve observed new crosswalks installed up and down Warder and Park Place. I’ve also observed smaller sections of sidewalk replaced abutting the new crosswalks. What I find interesting for many of these crosswalks is that in addition to the red textured area many of them slightly slope down to a level surface on grade with the street prior to meeting the street. (New crosswalk on ne corner of Warder and Newton). However, not all of the work strikes me as as quality work. 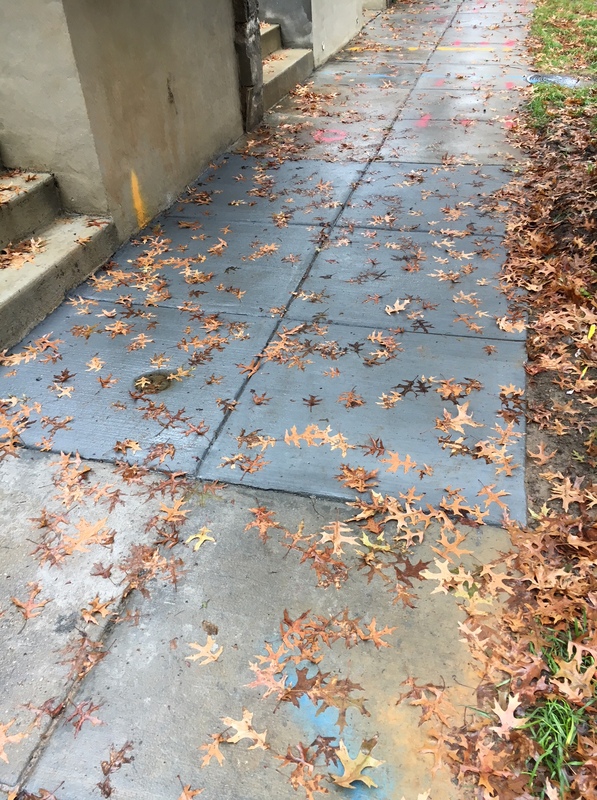 Below are two photos of an area of new sidewalk on Park Place between Otis and Newton Place where the sidewalk takes an odd slope down to the curb. Personally, I question the safety of this and will be questioning DDOT about it. In addition to sidewalk improvements, I was sad to see one of the large trees on the 600 block of Quebec Place marked and ready to be cut down. 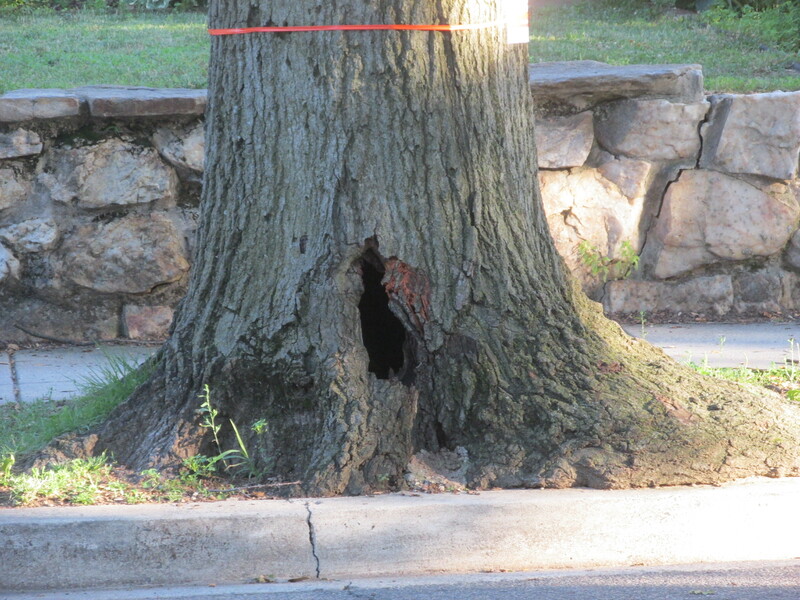 That said, in looking at its trunk near the base it appears that it may be hollow inside and leaving it alone likely poses a safety hazard. The photo below shows an opening in the trunk providing an idea of its hollow interior. 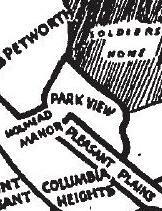 I’ve been working with a group of neighbors in the central section of the neighborhood to tree up streets like Luray and Manor places as those streets have no tree box areas for new trees. Fortunately for Quebec Place, there is tree box space so, even though this tree is coming down, we can get a replacement in the fall.